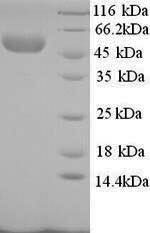 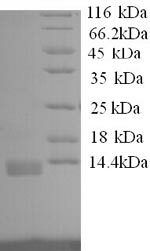 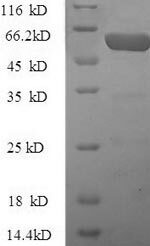 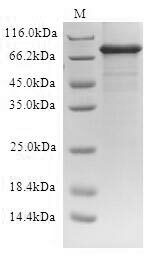 Biological_Activity The ED50 as determined in a cell proliferation assay using BALB/c 3T3 cells is less than 5 ng/ml. 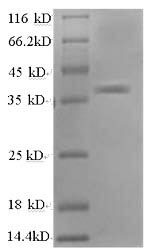 Function EGF stimulates the growth of various epidermal and epithelial tissues in vivo and in vitro and of some fibroblasts in cell culture. 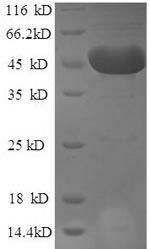 Magnesiotropic hormone that stimulates magnesium reabsorption in the renal distal convoluted tubule via engagement of EGFR and activation of the magnesium channel TRPM6 (By similarity).